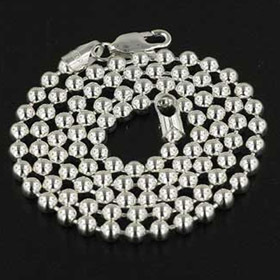 Each sterling silver ball chain stocked here is made in Italy. 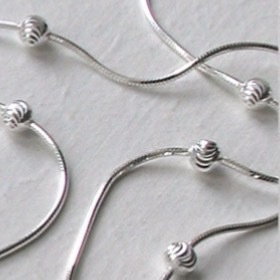 Boothandbooth offers these ball chains in widths 1.2mm, 2.5mm, 3.5mm, 5mm and 8mm. 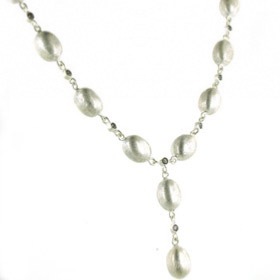 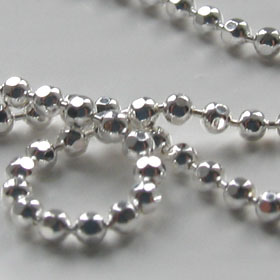 Silver ball chains are also called silver bead chains. 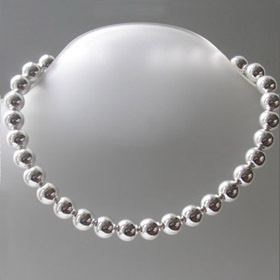 The collection includes all types of ball or beadchains including graduated "string of pearls", ball necklaces, cut ball chains and ruthenium plated ball chains. 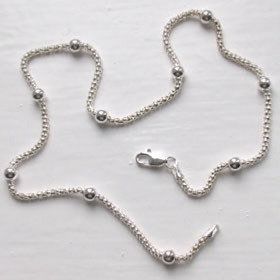 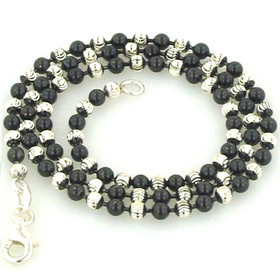 Most of our silver ball chains have a matching silver ball bracelet. 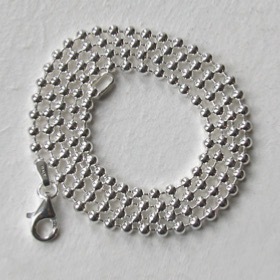 Check out our silver popcorn chains which are wrapped ball chains. 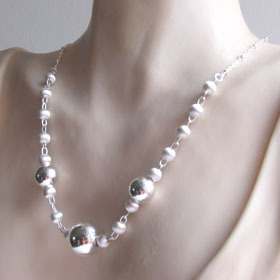 A sterling silver ball chain looks fabulous alone but can also coordinate with a gemstone pendant. 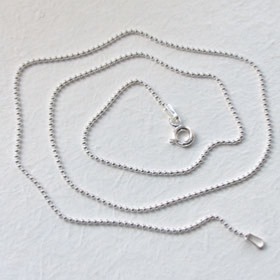 We provide a wide range of sterling silver chains of many different types. 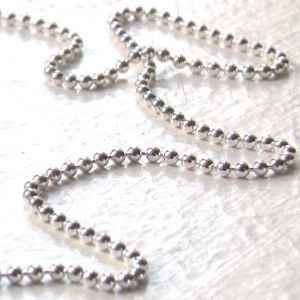 Enjoy free delivery in the UK on your silver ball chain.